Toronto is Canada’s largest city and the centre of business and economics in the country. With over 3.5 million people living here and a daytime population of over 5 million people and 6.5 million people living in the Greater Toronto Area. It’s no wonder all these young people keep moving here! Toronto holds the same big city possibilities for young people in Canada as New York or LA do for their American counterparts. With more and more major digital headquarters moving downtown like Microsoft, Shopify, Uber and even Alphabet’s experimental Sidewalk Labs, the opportunities for young Canadians are growing exponentially. Life downtown can mean a lot of different things for different young professionals. 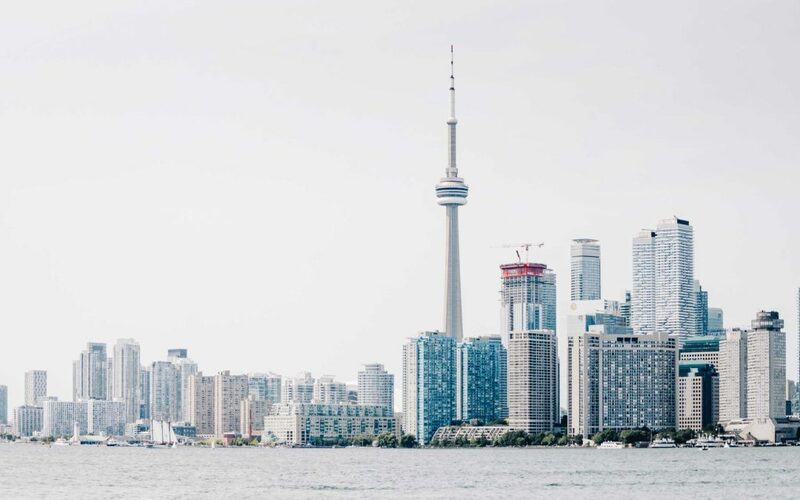 We took some time to put together a list of the five best neighbourhoods in Toronto for young professionals – and what makes them perfect for the young professional’s goal oriented, best-self lifestyle. Let’s start off realistic, living downtown is expensive, but that doesn’t mean is has to cost a million dollars to live in downtown Toronto. Condo developments along and around the King West neighbourhood have been a consistent source of affordable pre-construction deals. Nowadays, the pre-construction game downtown is leveling out a bit with resale prices. Still, the King West fashion and design district have properties that are more than attainable with a traditional mortgage. Bonus points for King West for being so close to all the new tech giant head-offices, which means all sorts of opportunities to live within walking distance to a well-paying job. The neighbourhood is also steps from Toronto’s Entertainment District – King West offers young professionals a great opportunity to live, work, and play all in one convenient location. Toronto’s Junction has come a long way over the past ten years. This neighbourhood has become one of the more highly sought after neighbourhoods among buyers, particularly young professionals due to the close proximity to the downtown core; all the stylish local shops and restaurants. The Junction is also still one of the relatively affordable areas of the city – making it especially attractive to first-time buyers just launching their careers. Young professionals have their pick between the relatively lower rentals, traditional resale and some budding new pre-construction projects. Including East Junction Condos, a boutique development by Limen with units that started in the $300’s. The St. Clair streetcar is right at the doorstep and getting back and forth to the action downtown has never been easier. One of Toronto’s most notable neighbourhoods is Toronto’s Queen Street West. A world-renowned meca for shopping and music, the Queen West hood is home to designers, bohemian socialites and you guessed it – young professionals! Queen West was touted by Vogue Magazine as the second coolest neighbourhood in the world – a notable achievement to say the least. Aside from being the Toronto epitome of cool, Queen West offers a number of options for living, including row houses, boutique and not-so-boutique condo buildings, and some fully detached dwellings that don’t come on the market very often. Toronto’s historic Distillery District is arguably Toronto’s most picturesque neighbourhood – with buildings and streets dating back to the 1800’s. It’s an incredibly inspiring neighbourhood to see and a celebrated part of Toronto’s history. Just East of the downtown core the district was once a whiskey distillery – hence the name and the old buildings – but has since been transformed into a mixed-use neighbourhood with residential, retail and commercial spaces. There are a number of notable condo and loft developments in the neighbourhood; as well the Distillery District is always playing host to special events and seasonal markets and festivals year round which makes for great networking opportunities the ambitious young professional right at his/her doorstep.